Can you eat hot? 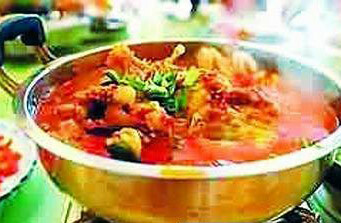 Have you eaten hot-pot?This is a specal snack of our Sichuan. ok, let us look at it…. 1 / 2 tsp soy sauce 2 tbsp. 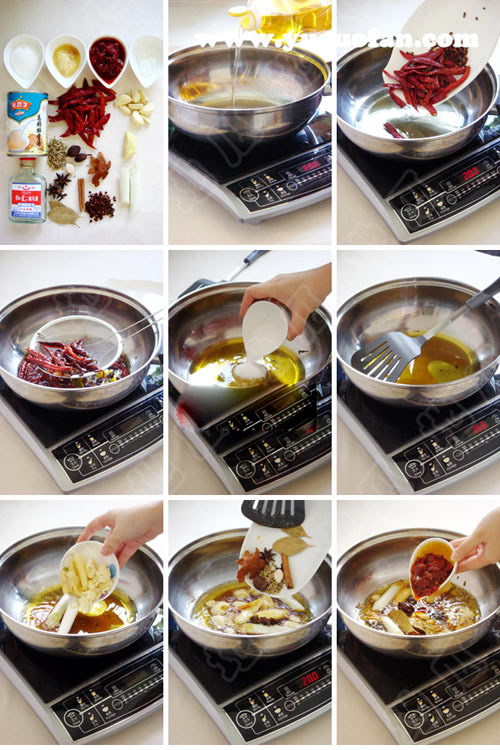 1, the pot into the salad oil and pour into dry chili peppers and hot pepper flavor Stir, then remove and reserve again, the sugar into the pan fry the small fire shot into the flat after the dissolution of the spring onion, Ginger and garlic. 2, fry onion and garlic until light yellow color and put into stir fry with all the spices, then poured into Sichuan bean paste, stir well, then pour in wine and soy sauce and butter fried together. 3, and finally into the whole jar of Swanson ribs soup, add sugar, then fried until the chili peppers and pepper pot, pour back into pot at the end that is expected.